Nicole by OPI Nail Lacquers and Nail Treatments contain no DBP, Toluene, or Formaldehyde. Nicole by OPI formulas are long-lasting, fast-drying, and salon-quality, with products featuring the Perfect Stroke brush for streak-free, even coverage. 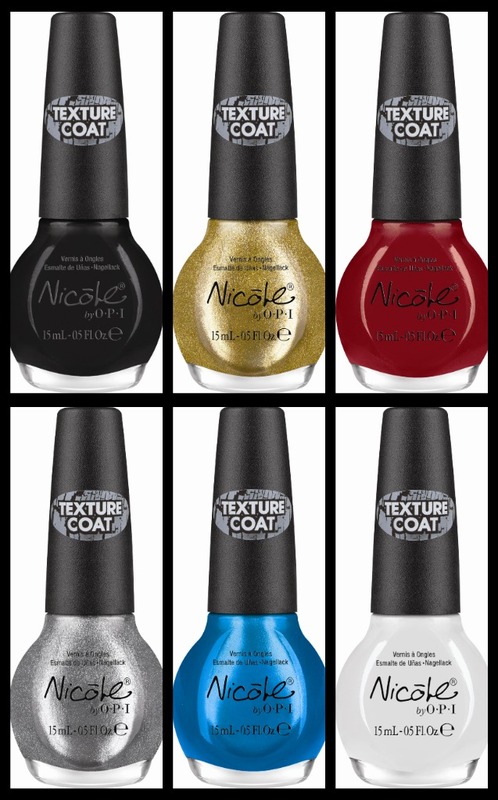 Texture Coat will be available July 2011 for $7.99 each at ULTA, Target, Meijer, Harmon, Wegmans, Sears, and H-E-B. 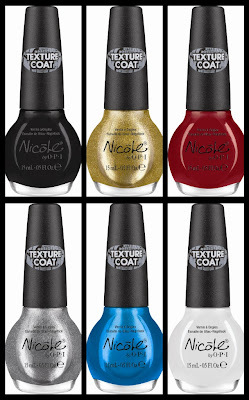 Texture Coat will be available in Canada at Shoppers Drug Mart, Walmart and Loblaw.For more information, visit nicolebyopi.com. Follow Nicole by OPI on Twitter @NicoleByOPI and become a Facebook fan! I am loving the Turquoise Texture Coat! Ok, I am confused. Are these just more shatters, or do they do something different?